DMX performs onstage during the Bad Boy Family Reunion Tour on October 4, 2016 in Inglewood, California. Stop, drop, shut ‘em down, open up shop — DMX is free. The 48-year-old rapper was released from Gilmer Federal Correctional Institution on Friday morning, two days before his official release date. He was initially set to be released from prison on Sunday, but since it fell on a weekend, federal policy mandated the early release. 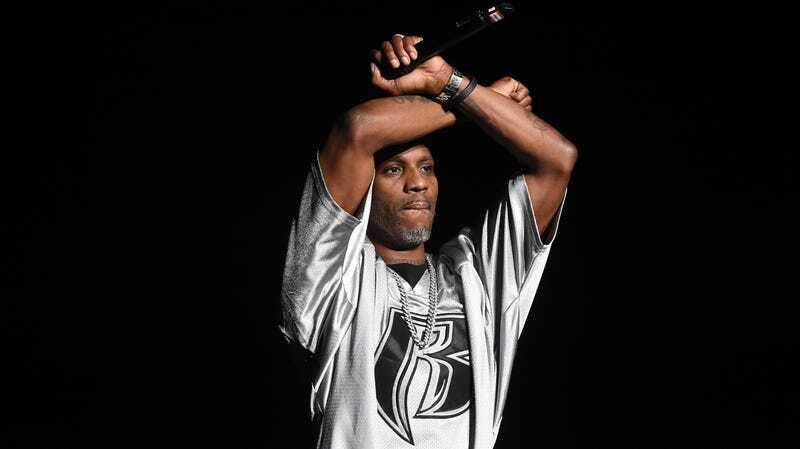 DMX, whose real name is Earl Simmons, served a one-year sentence at the West Virginia facility for tax evasion. TMZ immediately got word of his official release and later obtained the first pic of the newly freed rapper and his family. Now, DMX will be expected to pay more than $2.3 million in federal restitution, as well as begin outpatient programs for substance abuse and mental health. He was sentenced in March 2018 after pleading guilty to one count of tax evasion, a deal he struck with the U.S. Attorney’s Office for the Southern District of NY, since he was initially facing 14 counts and a possible 44 years in prison. Other than those technicalities, what’s next for the Ruff Ryder? New music, naturally. He’s reportedly planning to release a new album as well as develop a biopic.